Long-time boss Chanda Kochhar will have a big slug of her pay revoked after a probe into improper loans. Such penalties have been all too rare in the industry globally. For India it is a striking example of how financiers, and tycoons, are finally being held to a decent standard. Chanda Kochhar, Managing Director and Chief Executive Officer of ICICI Bank listens during the session 'India's Next Decade' in the Swiss mountain resort of Davos January 23, 2015. More than 1,500 business leaders and 40 heads of state or government attend the Jan. 21-24 meeting of the World Economic Forum (WEF) to network and discuss big themes, from the price of oil to the future of the Internet. This year they are meeting in the midst of upheaval, with security forces on heightened alert after attacks in Paris, the European Central Bank considering a radical government bond-buying programme and the safe-haven Swiss franc rocketing. 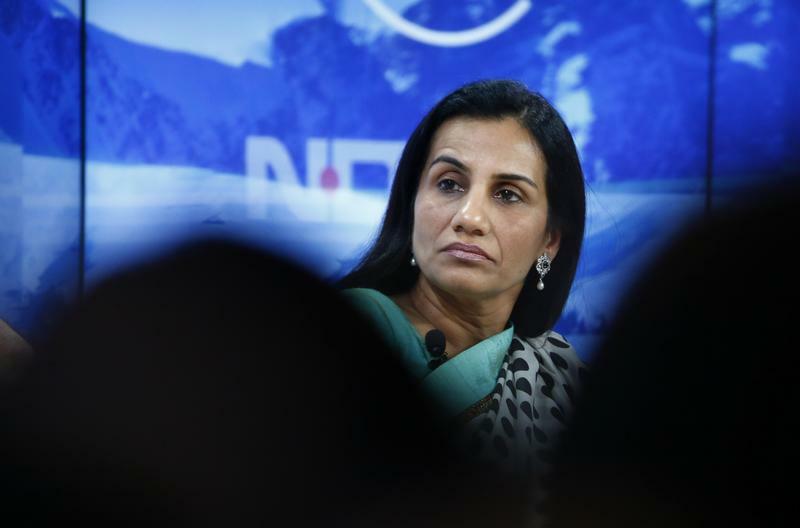 ICICI Bank said on Jan. 30 that an investigation into former Chief Executive Chanda Kochhar found that she had violated internal bank policies and that it would seek to claw back portions of her compensation. The bank said it intends to reclaim all bonuses paid to Kochhar between April 2009 until March 2018, and revoke any unvested and vested, and unexercised stock options. The move follows the conclusion of a months-long investigation led by former Supreme Court judge B.N. Srikrishna. Kochhar resigned from the bank in October 2018. “I reiterate that none of the credit decisions at the bank are unilateral … the organisation design and structure obviate the possibility of conflict of interest,” Kochhar said in response to the ICICI statement, adding that she was “utterly disappointed, hurt and shocked by the decision”. ICICI also reported a 2.7 percent fall in fourth-quarter net profit to 16.1 billion rupees ($226 million) from 16.5 billion rupees a year earlier. The bank’s net non-performing asset ratio fell to 2.6 percent from 4.2 percent a year earlier.